Bipolar disorder is a type of mood disorder characterized by manic episodes along with depression. Bipolar treatment is made taking into consideration the type and severity of the disorder which varies from patient to patient. While some people may experience normal phases in between manic phases, others might show psychotic symptoms resulting in hallucination and delusion. Various kinds of bipolar treatment consist of psychotherapeutic and pharmacological techniques which are used by professionals to prevent the occurrence of manic phases. Although the disease cannot be completely cured with treatment, its severity can be effectively reduced and the manic episodes can also be prevented. Mood stabilizing medication is the most common type of medicine given for bipolar disorder. Lithium, sodium valproate and carbamazepine are some of the common medicines used for bipolar treatment. Antipsychotic medicines consisting of Olanzapine, Quetiapine etc. are used for treatment of acute manic episodes. Sometimes anti-depressants may be given to patients, depending on their behavior and mood swings. Brain imaging techniques are also being used by physicians for treatment of bipolar disorder. The functional MRI and positron emission tomography are common imaging techniques which are used to discover the network of nerve cells in the brain. These can give a fair idea about the basis of abnormal behaviors of patients. Understanding of brain functions and research into the genetic background of patients can help physicians in administering the right bipolar treatment for patients. Electroconvulsive therapy can be used for patients who are suicidal and also for those suffering from delusions and hallucination. Sometimes hospitalization of patients becomes necessary during the acute phase. Although Psychotherapy can be of considerable help during the depressive phase, it cannot be used for patients in the acute phase of the disorder. Bipolar treatment focuses on providing relief from the acute stage and providing long-term preventive care. The preventive and maintenance phase of the treatment is as important as the medication phase since it’s important to maintain a stable mood and prevent future occurrence of manic episodes. The mood stabilizing medicines along with regular psychotherapy sessions can help the patient tremendously. 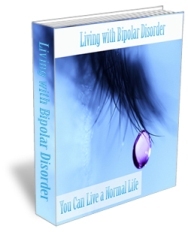 Family support and education about the disorder becomes an absolute necessity during the bipolar treatment procedure. Cognitive-behavioral therapy helps in solving the problems of patients by triggering a positive thought process. Interpersonal and social rhythm therapy can also be administered to improve the relation of the patient with family members and other loved ones. In order to create a healthy environment within the home, family focused therapy can be used to reduce the stress and strains caused within the family due to the disorder. Alternative treatments like light and dark therapy, acupuncture and meditation can also help in the bipolar treatment. Some people who experience bipolar disorder are known to be obese. If you are one of those, you need help from weight loss drugs to aid you lose fat.